ANDREW FRESQUEZ is a recent age-out of Pacific Crest. He began his drum corps career at Pacific Crest, playing baritone from 2014-2016, and moving on to take the role of assistant drum major in 2017 and served as the Head Drum Major during his age-out season in 2018. Andrew currently holds an A.A in Music and Social & Behavioral Studies from Riverside City College. He plans to pursue a Bachelor’s in Music Education at Cal State Fullerton in Fall 2019. He currently works with Etiwanda High School as a music instructor, and Rancho Cucamonga High School as a visual instructor. This will be his first year on the Pacific Crest Drum Major Camp staff. 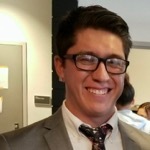 Andrew resides in Moreno Valley, California. 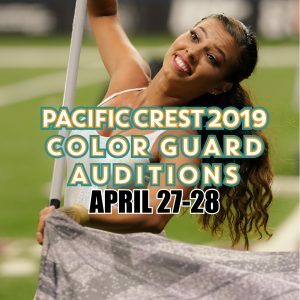 We have set aside a block of tickets at select events for Pacific Crest alumni, family, friends and fans to come together and cheer on the corps. Pacific Crest is excited to announce that Lone Star Percussion is returning as Presenting Sponsor of the 2019 Corps at the Crest San Diego and Drum Corps at the Rose Bowl. Tickets are now on sale for Corps at the Crest San Diego and Drum Corps at the Rose Bowl.